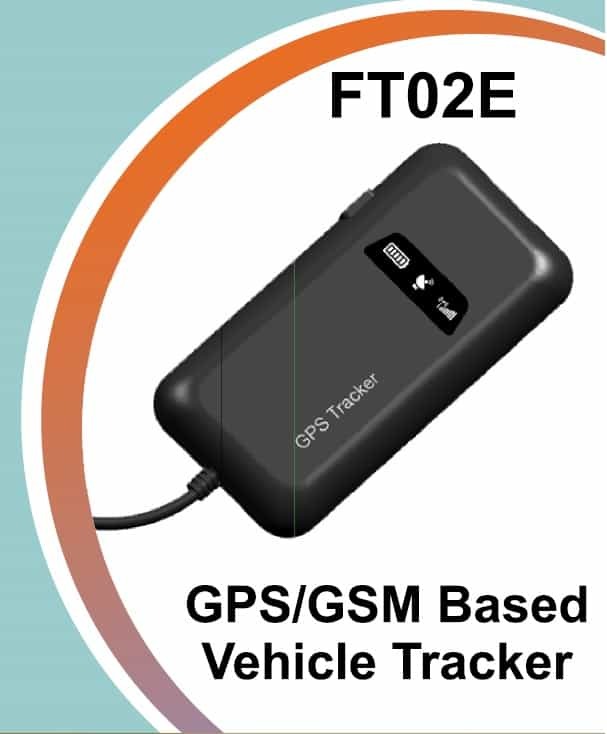 We are pleased to inform you that we have Launched Cost effective VTS / GPS Tracker Model FT02E apart for our Existing Model Disha. Automobile segment including Commercial Vehicles, Private Cars, Taxis, Auto Rickshaws. Mani Drivers of VTS Devices in India on the Growth and wide usage/ implementation of VTS in Logistics Verticals, Growth in Radio Cabs, Demand from BPO Sector and Govt. Regulation for installation of VTS in all the Commercial Vehicles including Auto Rickshaws. To tap this huge market opportunity, we have Launched this Low-Cost VTS Device. The Device is already deployed in the Market and working satisfactorily. GSM/GPRS enabled SIM with min 50 Mb data pack and SMS facility to be provided By User for every Disha. INSTALLATIONS & COMMISSIONING: In your scope. We will provide you telephonic support. This is the best and lowest cost GPS Tracker of this planet. Don’t wait for call now and get the special discount. GPS satellites circle the earth twice a day in a very precise orbit and transmit signal information to earth. GPS receivers take this information and use triangulation to calculate the user’s exact location. Essentially, the GPS receiver compares the time a signal was transmitted by a satellite with the time it was received. A GPS receiver must be locked on to the signal of at least three satellites to calculate a 2D position (latitude and longitude) and track movement. With four or more satellites in view, the receiver can determine the user’s 3D position (latitude, longitude and altitude). Once the user’s position has been determined, the GPS unit can calculate other information, such as speed, bearing, track,trip distance,distance to destination, sunrise and sunset time and more. Because GSM is the European standard and is being used in many other countries. Even more, it’s very reliable and has a very high coverage rate compared to other communication networks. GPRS (General Packet Radio Service) is the worlds wireless data service available with almost every GSM mobile network. It enables us to access the internet, our email, video streaming and multimedia messages from our mobile phones. TrackTrace uses this technology to communicate location data back to our application servers. Why do I need tracking? Tracking helps businesses keep control of their expensive assets, namely people, vehicles and cargos. By monitoring the precise location of vehicles you can determine which is the most suitable vehicle to allocate to a job, saving unnecessary miles and the associated fuel, servicing costs, hours and overtime. Through detailed reporting you’ll know exactly how your vehicles are being utilised and hours worked. You’ll benefit from the tax changes, possibly mitigating an increase in employee’s tax contributions as well as conforming to the Government’s duty of care guidelines. How effective is vehicle monitoring? GPS (Ground Positioning Satellite) technology is accurate to within five meters of your vehicle’s location. Under normal conditions, your vehicle’s position is reported back to our command centre every two to three minutes. In the event of an emergency, the command centre is alerted and your vehicle’s position will be reported back every four seconds. Are there any places the Vehicle Tracking Unit cannot be used? The GPS satellite system covers the whole world. There are more then 170 countries with GSM coverage worldwide. More about the coverage you will found at http://www.gsmworld.com . Is the data send as voice, SMS or GPRS data? The VTU only uses GPRS & SMS. It takes only a very short period of time to send a GPRS data packet, and it needs GPRS signal. In case GPRS signal is unavailable then it sends data as an SMS and it only needs a very weak GSM signal (field strength). What if the vehicle is outside the GSM coverage? The memory of the VTU stores all the messages, and sends a message immediately when it’s in reach of a GSM base station. When is the vehicle invisible for the GPS? When the GPS antenna doesn’t have a clear sight off the sky, and therefore cannot see the satellites. For instance if the car is in a deep underground garage or under a metal roof. Do I have to have a cell phone or purchase cell service as well as tracking service? No, the TrackTrace GPS tracking system provides a complete service including the GPS tracker, software and network connectivity to the tracker. All you need is a PC with an internet connection and a vehicle to track! I do not want my drivers to be aware of the GPS tracker in the car. Can I install it and track without them knowing? It depends on the type of vehicle , the model of tracker and antennas you choose and the effort put by the installer on the vehicle. If it is genuinely required with additional engineering and cost Tracker can be hidden. What areas are covered by TrackTrace? If there is GSM network coverage, you are covered. It is easy to install for somebody who is handy. The GPS vehicle tracker needs to be placed under the dashboard (with zip ties) and the antenna needs to be placed under the ‘A’ pillar of the car. The installation guide provides easy to follow instructions. Most customers are able to install the tracker in under an hour. What if my driver speeds or goes outside the geofence and I am not at my computer? You can receive alerts to your cell phone telling what the alert is for and their location. For speeding it will say what the speed is. For breaking a geofence, it will give location to within 50 feet, time of day and speed. How often does the TrackTrace GPS system locate my vehicle? Your vehicle is located up to every 10 sec. while it is in motion (Depending on the service you purchase). Sometimes your vehicle will be out of cellular coverage but you will still receive these locations when your vehicle comes back into cellular coverage. However, there will be times when your device is hidden from GPS satellites so you will miss these locations but that should be infrequent. How accurate are the speed and geofence alerts? The device reports its location every 10 seconds while in motion. The reported speed is the speed when the location is taken so you will receive a speed alert if your driver is speeding at the instant of the location. The smaller the location interval the smaller the interval your driver can speed without detection. Similarly, with geofence alerts, the entry or exit of a geofence is determined when a location is taken. The smaller the time interval between locations means the sooner you will know when a driver has entered or exited a geofence. What is involved in maintaining the system? There is no maintenance required. Once the TrackTrace GPS tracking device is installed, you are on your way to increased efficiency and productivity. Can anyone log in and see my vehicle? No. The TrackTrace tracking devices monitoring data is password protected on the TrackTrace Web-portal. Data is available on the website for 30 days. After that data will be sent to the customer to keep the backup. And in future if the customer wants to see the detail he can upload the data and see the detail on the fly. Can I see multiple car locations on one map? Yes, the trackTrace site allows you to view multiple car locations on one map. What hardware and/or software do I need to operate my FMS solution? The hardware consists of a small Disha® module installed in each vehicle you want to monitor. Negligible power, drawn from the vehicle’s own electrical system, is used. The module includes an integrated GPS receiver plus a wireless satellite radio both of which are connected to a single integrated internal antenna. Software is a secure suite of web pages accessible to authorized customers only, available on any PC. No other hardware or software is required. Clients purchase or lease or rent the hardware units and pay a monthly satellite communication subscription fee to TrackTrace system for each installed unit. Do I need a separate server? All the information is held and managed on secure TrackTrace servers, so all you need to provide is access to our web site using your usual PC web browser. Access to the mapping system can be gained from any Internet ready PC using your secure login and no additional software is required. How often do I get reports? Reports can be generated as often as you like, either on an ad hoc basis or you can simply set up the parameters in the easy to use report wizard to produce scheduled reports in PDF of excel format. Vehicle day wise summary automatically emailed to your inbox at the end of the day. Can I see what route they took? TrackTrace mapping displays the routes taken by vehicles on the system, simply select the times you wish the report to include and a graphical image will be produced for the entire journey. What happens after my TrackTrace service/contract period ends? Depending on the nature of your contract you have the option to continue to use the service at a reduced charge. These options can be discussed and confirmed with you prior to you entering into a service/contract period if required. Can the unit be fitted to any make of vehicle? Yes, including light commercial vehicles and heavy goods vehicles or any type of movable objects. Will the Tracker unit interfere with my vehicle’s electronic systems? Will the unit need to be serviced – is there a service contract? The unit has a life span of many years and does not require servicing. However, in addition to testing your Tracker at least twice a year, it is recommended that you test the unit after an accident or after any significant electrical work has been carried out on your vehicle. All Tracker units come with a one-year guarantee. What happens when I sell my vehicle? Can I transfer my Tracker from one vehicle to another? There are a number of options available when selling your vehicle. You can sell the vehicle with the unit in it and the new owner will take over the monthly subscription, or you can re-install the unit in your new vehicle. If you choose to reinstall into your new vehicle, there is no charge for that . What warranty does Tracker TrackTrace offer? If the Tracker TrackTrace device is inoperative or is faulty by reason of defective components, workmanship or design within 12 months of fitment, Tracker will replace the device free of charge. This warranty does not apply if the device has been tampered with, worked on by a non-authorised Tracker TrackTrace installation agent, or if the device has been damaged in an accident. It is recommended that you insure your Tracker TrackTrace device. Can I be alerted if a seatbelt is not buckled? Currently, most GPS tracking devices do not have this capability. TrackTrace have this capability with its device. Can anyone just call in and ask for information on my account? Absolutely NOT. We will never provide account information to anyone without ensuring they are the person authorized to receive that information. Even then, passwords are only given out by email, to the email address which is registered to the account. Can I buy the units in groups so I don’t have to pay it all upfront and still get the discount? You can buy the units in groups so you can get familiar with the solution and set up a schedule of when you will want the next group of units shipped. This way you know which vehicles need to be available and we know when to ship you your units. To receive the discount you will need to commit to the number of units and understand if the units are not purchased in that time frame the rate will be adjusted. Can I have my installers do the job? 95% of TrackTrace customers self install with the hardware we offer. There are manuals and a video on how to install the units. Our Wiki is available 24/7 if you have any questions and if you do have a questions feel free to call me or our support. Can you do any better on pricing? Our pricing is based on a tiered volume level that includes all the features and benefits that have been explained. Can I choose the landmarks I want to see on the map? You can choose and design the landmarks the way you need them. Our solution allows you to make a circle or polygon shape over the area you need to know. There are color options and you decide the name of each landmark. There are no additional charges to have any number of landmarks. Can I have Custom Geo-Code only for my use? How is the vehicle device powered? The vehicle device is powered by the vehicle’s 12-volt or 24-volt battery. Disha-9330 also has it’s own built-in backup battery in case it does not receive power from the vehicle battery for some reason. The backup battery lasts for 5 hours and the vehicle device will send you an alert when the battery is running low. Why is the location incorrect sometimes? Vehicle location may either be incorrectly reported sometimes or off by a few meters because the availability and quality of GPS signals may be affected by buildings, natural obstacles, weather conditions and satellite availability. What are other benefits other than locating vehicle position? Apart from location, date and time, speed, standard reports like start – stop, speed, and vehicle route etc. It also helps the Fleet owners to find the idling time of the vehicle. In short it acts as a productivity enhancement tool of the operator. Apart from the above there are intangible benefits due to customer satisfaction, securitization of vehicle, activity reporting, improved communications etc. Do I require any software skill or any other special computer operating skill to get your services? Not as such, ours is one of most simple and user friendly tracking website. Still we provide basic training to our customers on how to use the tracking website. Is GPS signal available everywhere? GPS signal is available everywhere under open sky though availability and quality of GPS signals may be affected by buildings, natural obstacles, weather conditions and satellite availability. Can I create my own customised maps? Yes, only customers with the full access to TrackTrace system can use map creation engine that offers the manager the ability to upload his own map and POI (points of interest) on the map so more detailed and informative information can be given. Do I have a panic or SOS button? Yes, when activated, a message is sent to the emergency control centre who in case of emergency will sent out the RUN Recovery Team. What does Trip log mean? You will receive an daily/weekly/monthly web view, Map view and email summary of all trips with start and destination points, times, speed as well as distance travelled etc. How reliable are your units? Very, but like all devices that rely upon cellular networks to deliver information, they can fail. This is mainly due to cell sites being out of action or your vehicles may be in a bad reception area. Do you provide any types of antennas? All of our devices come up with internal antennas. But on special request we also provide external antennas with cost. Does TrackTrace have different models? What happens after the warranty? What is the failure rate of Disha Series? The failure rate is less than .001%. Disha Series has been tested and approved by testing Lab for shock and vibration. How does the software enhance the benefit of my investment in tracking and security of my vehicle? • Provides Real Time Data – On a continuous basis on location of the vehicle. This helps in planning, quicker turn around for customer queries as to where the vehicles/Cargos are. Better utilization of your asset means more revenues and more profit. • Route Mapping – If the vehicle/fleet is to deliver from Delhi to Mumbai the route is set, then any deviation would trigger an alert to the concern. • Speeding – You have no control on this. Your asset’s life is being reduced/accidents are possible, causing loss of revenue and important clientele. Speed Alerts can be set and if the truck crosses a certain speed, an alert will be generated. • Fuel Theft & Misuses – Create reports on fuel pilferage and average by vehicle type and entire fleet. • Mileage – You are no more dependent on the odometer for mileage. Global positioning system gives the mileage with the help of GPS odometer with 98% accuracy. • Work Timings – What time the vehicle started/ where it went/ how much distance travelled/ what time he reached your customer – everything is available in a report. You will never have to hear from the driver that he waited 5 hours to unload. You will have the power of the instant information. • Sensors – Hi-end technology with Door Opening Detector/ Fuel Sensor/Temperature Sensor allows enhanced Monitoring and greater Productivity. • School Bus Tracking – Apart from Tracking the School bus and ensuring that driver sticks to his designated route and maintains speed limit ( non adherence to any of above will send alarm SMS to school authority) , Disha with RFID reader attachment also tracks the presence of children in the bus. Parents thru SMS from their phones can find out the exact location of school bus and additionally a SMS is sent to the parent when the school bus approaches the child’s busstop.